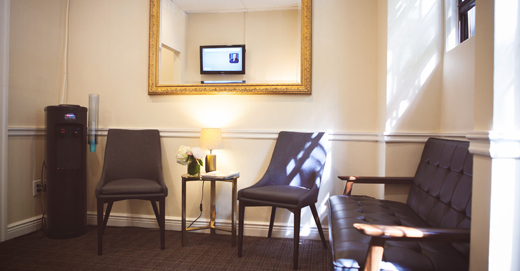 You won’t wait long for your appointment, but if you arrive early you’ll have access to our welcoming patient reception areas complete with complimentary coffee and tea, fresh flowers, Wi-Fi, iPads, and current magazines you’ll actually want to read. 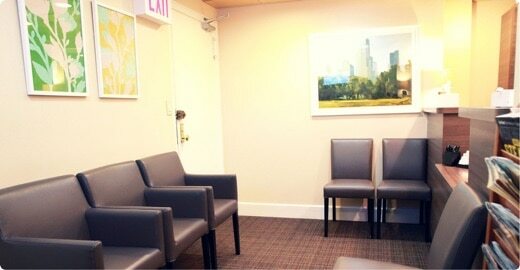 As a Central Park West Dentistry patient, you’ll have access to the latest technology and advancements in dentistry. We have everything from low radiation digital x-rays and laser-assisted periodontal surgery, to educational animations on chair side iPads and intra-oral cameras that let you see what your dentist sees. Your first dental wellness appointment will be scheduled for a full 90 minutes so we can get to know you and understand all your oral health goals. You’ll have lots of time with your hygienist and dentist, and will never feel rushed. We’ll start by going over your medical history and talking about anything that might affect your oral health. In most cases, we’ll take a full set of digital x-rays that will give us a baseline to use moving forward and help us catch any problems. Your hygienist will do an oral cancer screening with a special light and let you know the results right away. We’ll evaluate the health of your gums and chart any existing dental work. A lot of people identify a first visit with a dental cleaning – which is certainly a very important part of the appointment. Your hygienist will clean your teeth to remove any accumulated plaque and tartar, and polish them to make them shine. During your appointment, one of our dentists will perform a comprehensive exam to assess the health of your teeth and make sure everything looks a-ok. Any concerns will be discussed at length, and we’ll make follow-up appointments for any treatment that you might need. If you need to come back for treatment, one of our financial coordinators will go over fees with you and, if necessary, help make financial arrangements that work for you. Your first emergency visit will be scheduled for a full 60 minutes, to ensure that your dentist has plenty of time to accurately determine the cause of your tooth trouble and fix whatever is ailing you. Most of the time, an emergency visit is initially scheduled to include a limited exam and x-rays of the tooth (or teeth) that are posing a problem. Once your dentist finds out exactly what’s causing the issue they can talk through the best treatment options with you. Together you can decide how to proceed. At this point, one of our financial coordinators will sit down to go over fees and make financial arrangements that work for you. In most cases, necessary treatment can be done on the day of your first visit so we can get you out of pain and on with your day. You’ll also leave with any necessary prescriptions for any antibiotics or pain medications you might need, as well as any relevant post-operative instructions, and an invitation to come back for a dental wellness visit. “ I'm used to going to dentists who are very capable but who have older technology and offices that look like they haven't been renovated since the '80s. So I was blown away by how hi-tech the office was. There were digital x-rays in the treatment rooms; there was this wand-type thing that take pictures of your teeth. It was all very cool. “ Best dentist ANYWHERE. I love that this office doesn't FEEL like a dentist office. Last time I was in there it just smelled yummy. Comfortable seating area where you wait all of 5 1/2 seconds. They always have the best goodie bags and have plenty of water & coffee for you. Everyone here is over the top nice. “ I've been going to Central Park West for about a year and a half now, and I've already recommended the practice to everyone I know. From the friendly email and text reminders before appointments to the best hygienists to ever have cleaned my teeth (shout-out to Diane! ), CPW does everything to not only improve patients' oral health, but also make patients feel human in the process. “ I am the worst dental patient in the whole world: I have a tiny mouth, a sensitive gag reflex and I get extremely anxious. CPW Dentistry has been so great and patient with me, that going to the dentist is no longer a dreaded event. Everyone there is so pleasant! “ The practice is spotless and they use the most advanced equipment. They also do whatever possible to make your visit comfortable. The customer service goes above and beyond what you find at most medical or dental practices. They set the bar high! 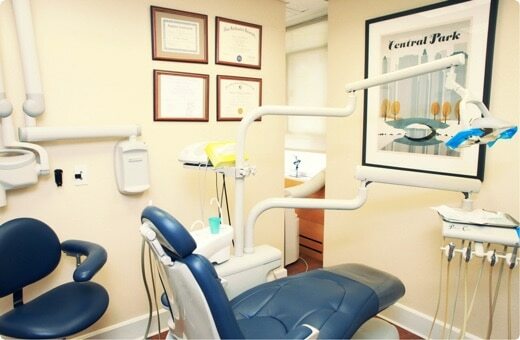 “ I loved my experience at CPW Dentistry. The team was a dream; everyone was incredibly kind and hospitable. I also received the most thorough dental evaluation I've ever received and walked away smarter and more confident about my dental hygiene. “ I have been a patient at CPW Dentistry for over 3 years and every time I go there it is nothing but a great experience. I can see any dentist there and feel comfortable and safe with their advice and their work. Please use the private entrance from the sidewalk on 68th Street between Central Park West and Columbus. Please use the entrance on West 62nd Street between Central Park West and Broadway. Look for the awning that says “Century”.